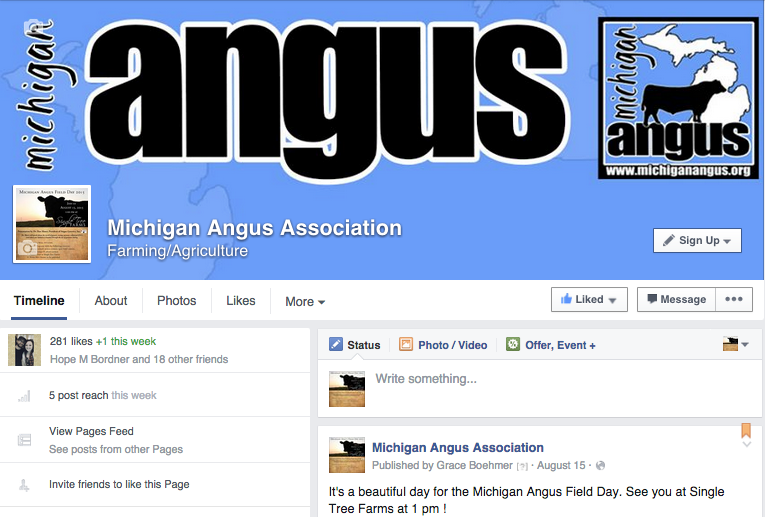 Rebecca VanDenBerg Web Services has maintained the Michigan Angus Website since 2009. 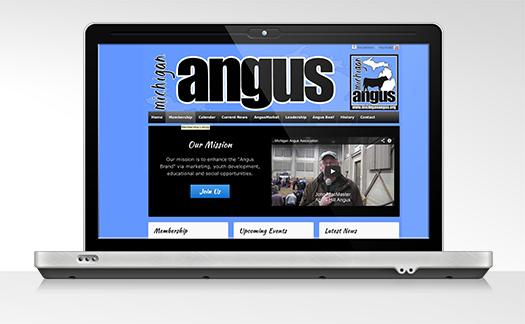 Since that time, we have made major upgrades to the site including adding online membership forms & payment options, online sale consignment forms & payment options, news blog, AngusMarket classified advertisements, board of directors document archive and much more. The most recent upgrade including converting to a responsive design and incorporation of the new association logo. RVWS was a contributing partner in the logo design and development and made sure the new branding styles were used consistently in social media and printed material for the association. RVWS is pleased to work with a progressive, forward thinking group of livestock producers.